If you love Ain't Too Proud: The Life and Times of The Temptations – then whatever you do, donʼt miss out on the upcoming event as it takes place at Imperial Theatre on Sunday 7th April 2019! Thereʼs only one place to be, what are you waiting for?! Imperial Theatre is renowned for hosting the hottest events. One of the best things life has to offer is a moment to sit back, relax, and spend an hour or two enjoying a theater show. Invest your precious time and valuable energy in a ticket to catch the limited engagement run of Ain't Too Proud: The Life and Times of The Temptations. Experience for yourself the show that critics have been raving about. Reward your senses with awe and wonderment. As the curtains pull up, each and every scene is a sight to behold. As the plot unfolds, you will be taken in for a ride on a rollercoaster of compelling emotions. Now get that ticket to ride! 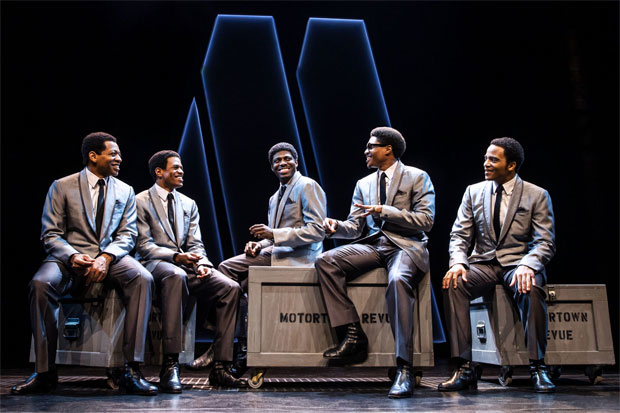 Ain't Too Proud: The Life and Times of The Temptations is holding a quick run of shows at Imperial Theatre on Sunday 7th April 2019. Catch it while you can!